Santa Rosa, CA, October 26, 2016, Dr. Jan Sonander has been recognized by Elite American Physicians for dedication achievements and leadership in family medicine. 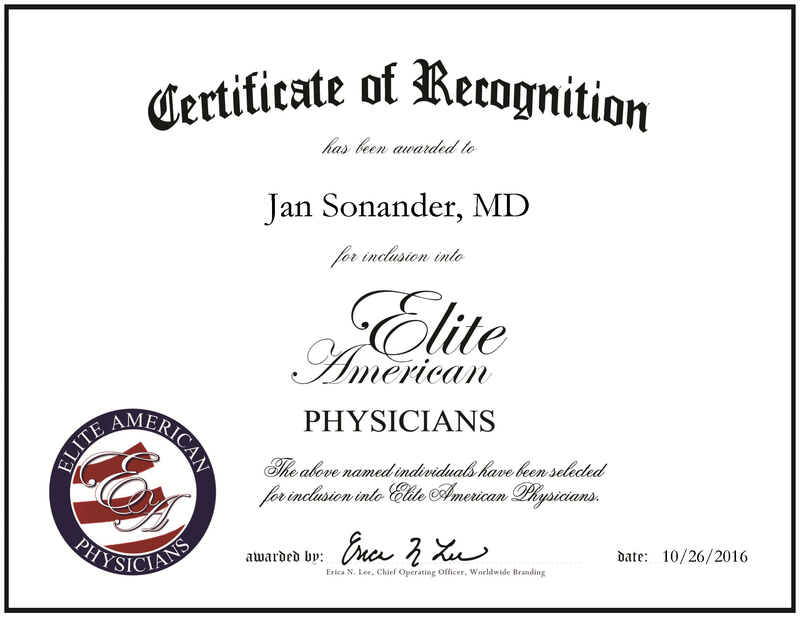 Santa Rosa, CA, November 19, 2015, Dr. Jan Sonander has been recognized by Elite American Physicians for dedication achievements and leadership in family medicine. With a career that has spanned more than 35 years, Dr. Sonander is regarded for his outstanding medical care and his longevity in the field. In his career, he has served two terms as chief of staff at Memorial Hospital and he has been the president of the Sonoma County Medical Association. He established his own private practice 22 years ago to give patients in the Santa Rosa region a place to receive care from the time they are very young to very old. In fact, Dr. Sonander continues to care for his patients as they enter nursing homes and homes for the disabled. He makes house calls for patients who are unable to come in to the office. Dr. Sonander is a board certified physician accredited by the American Board of Family Medicine. He attended the University of California, Davis, where he earned a Bachelor of Science, Master of Science and MD. During his residency training, internship and fellowship training, he developed a passion for family medicine. His expertise in this area has led him to earn recognition as the Best Doctor of Sonoma County, Professional of the Year in Family Medicine and earn the Patient Satisfaction Excellence Award from St. Joseph Health System. When asked of his motivation to become a physician, Dr. Sonander admits that he wanted to make a difference in other people’s lives. To continue in his commitment, he treats patients as if they were family and develops relationships with them to make sure they feel absolutely comfortable under his care. He stays at the top of the field by affiliating with a number of professional organizations, including the Sonoma County Medical Association, the California Medical Association and the American Academy of Family Physicians. 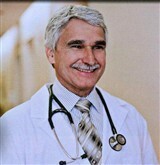 Dr. Jan Sonander was originally selected for inclusion in Elite American Physicians in December 5, 2012. We are proud to be featuring Dr. Sonander again in Elite American Physicians for 2016. This entry was posted in Family Medicine and tagged Best Doctor of Sonoma County, board certified physician, former chief of staff, house calls, private practice, Professional of the Year in Family Medicine. Bookmark the permalink.